Sticking with Mort Walker (and why shouldn't I) here are tree adversisement gags using Beetle Bailey and his friends. I wonder where they were used. 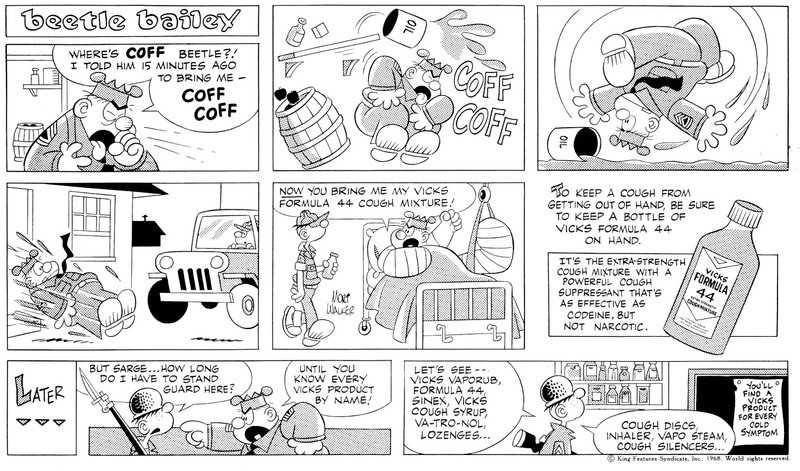 They are in the newspaper strip format, but using them in a Sunday paper would be confusing. I have never seen them in color, may that's a clue. 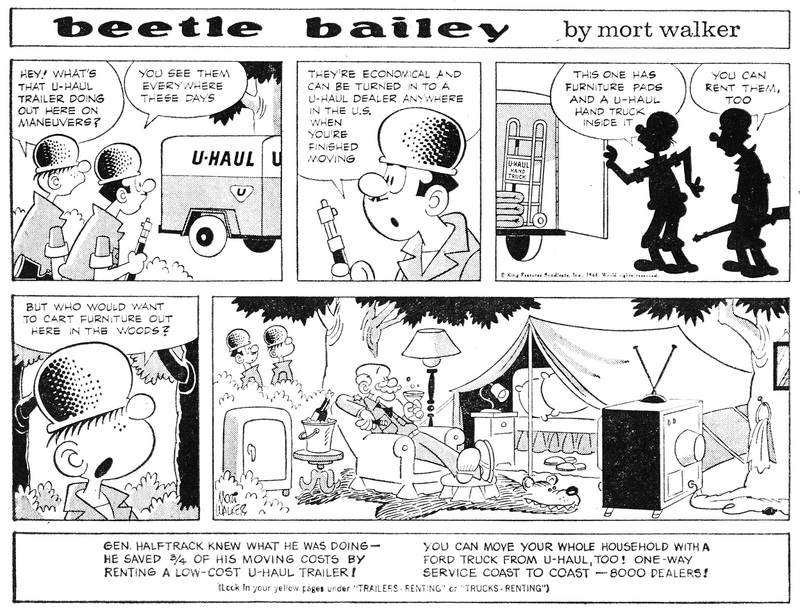 These materials drawn by Mort Walker (who, in the next month, will be with 94 years old, and his famous creation, Beetle Bailey, will complete 67 years of creation), which involve Beetle Bailey and all that gang from the Camp Swampy, are comic strip-version ads. 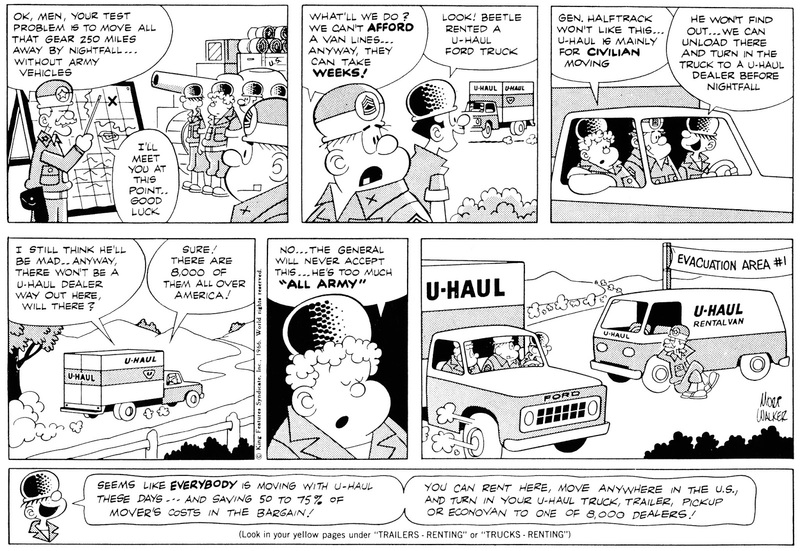 The two first ads are from U-Haul (famous American enterprise of rental vans and trucks), both from 1966. 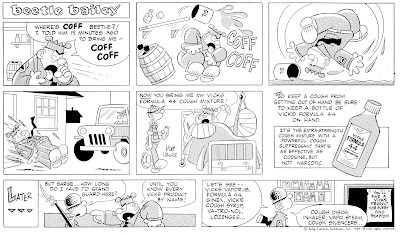 And the third ad (from 1968) is from the Vick Cough Syrup (which's manufactured nowadays by Procter & Gamble [and is also sold here in Brazil]). These ads were carried in the American daily press.